Yesterday I wore my christmas present to myself, this gorgeous handmade Harvest Moon Fringe top from Lune Vintage. I have wanted this shirt since she first released them. It is so incredibly beautiful. I layered it over another basic tee and wore it with some ripped jeans I got from a friend at a garage sale a few days ago for $2!! My Blowfish Nice flats went with this outfit seamlessly, I love how versatile and comfortable these little shoes are. Im still obsessed with the ring James got me from amerrymishap on etsy. And I love the look of my Kelly Ann bracelet from Moorea Seal goes with my sparkly gold braided bracelet from Flourish Leather. (I was recently given a fancy new bracelet from Danielle of Flourish, I cannot wait to show you, its sooooo beautiful). You may notice that the blog has a whole new look to it! As much as I LOVED my quilt background before, I felt the urge for a change, as that happens often. 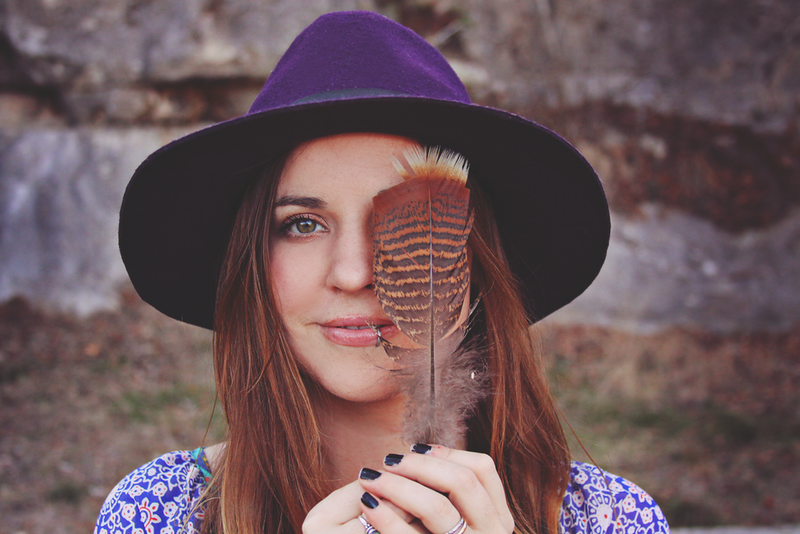 I found the feathers from I Rock So What the other day and just really wanted to incorporate them into the blog, and one thing led to another, and now I have a whole new blog look! ha ha. The most exciting part about finding Jess is that she is going to be designing a blog banner for James! Yep, you heard that right, James is going to start a blog! He is super nervous and unsure about it, but I just know it will be cool and fun.